A College Town with Character. Waterville, Maine is a safe, welcoming community of 15,600 residents located along the scenic Kennebec River, which runs alongside Thomas College. Waterville is part of the Kennebec-Chaudière Corridor, an international arts and culture route. 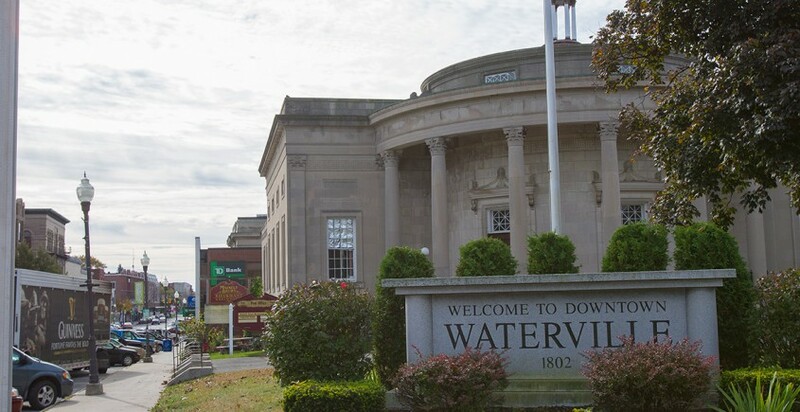 In Waterville, you’ll find the Waterville Opera House, Colby College, the Redington Museum, community and farmers’ markets, and the Railroad Square Cinema. Waterville plays host to an international film festival, the annual Taste of Greater Waterville culinary event, and numerous arts and cultural events throughout the year. The downtown district has many excellent restaurants, shopping areas, art galleries, coffee shops, and student-friendly cafés. Greater Waterville has numerous outdoor recreation areas, including the Pine Ridge Golf Course and trails for hiking and biking. Thomas students take advantage of Maine’s natural beauty through organized and casual trips for hiking, camping, canoeing, kayaking, downhill and cross-country skiing, sailing, whale-watching, hunting, bird-watching, rock climbing and other outdoor activities. Maine is known as “Vacationland,” and it’s easy to see why, with access to mountains, islands, beaches, rocky cliffs and some of the nation’s best food, arts, and cultural amenities. Waterville is located a little more than an hour from Maine’s biggest city, Portland, which offers students many opportunities for entertainment, internships, and field trips. We’re also close to metropolitan areas including Lewiston/Auburn, Bangor, and Augusta, the state’s capitol city. We benefit from our close access to these urban areas, but it’s easy to get away into nature from here—come visit us and experience Waterville and beyond for yourself!